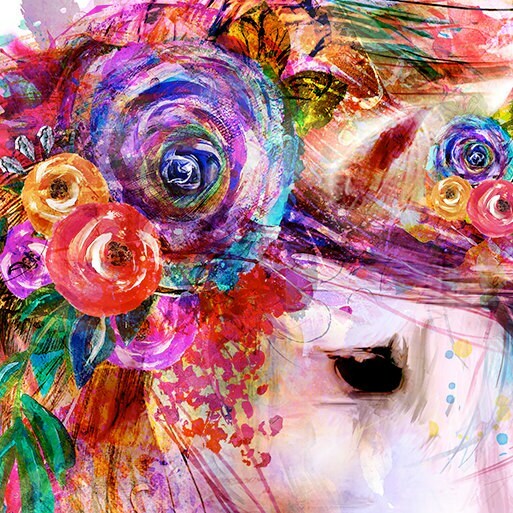 A stunning Unicorn mixed media painting that is uniquely layered with a combination of painting, photography, and illustration . 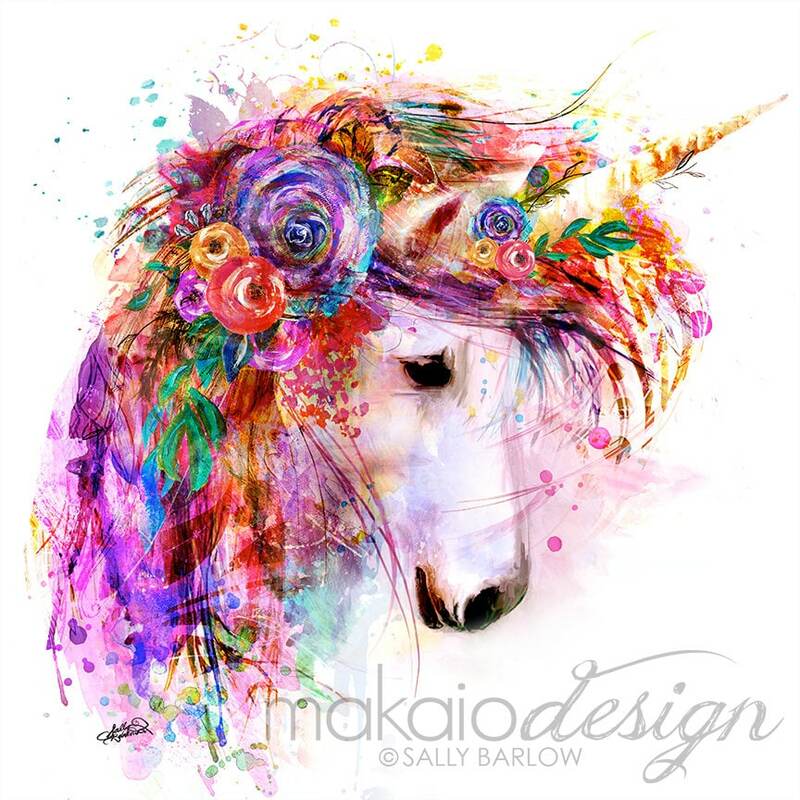 . . bright and bold for the unicorn lovers out there. With a solid white background, the artwork really pops against any wall color. 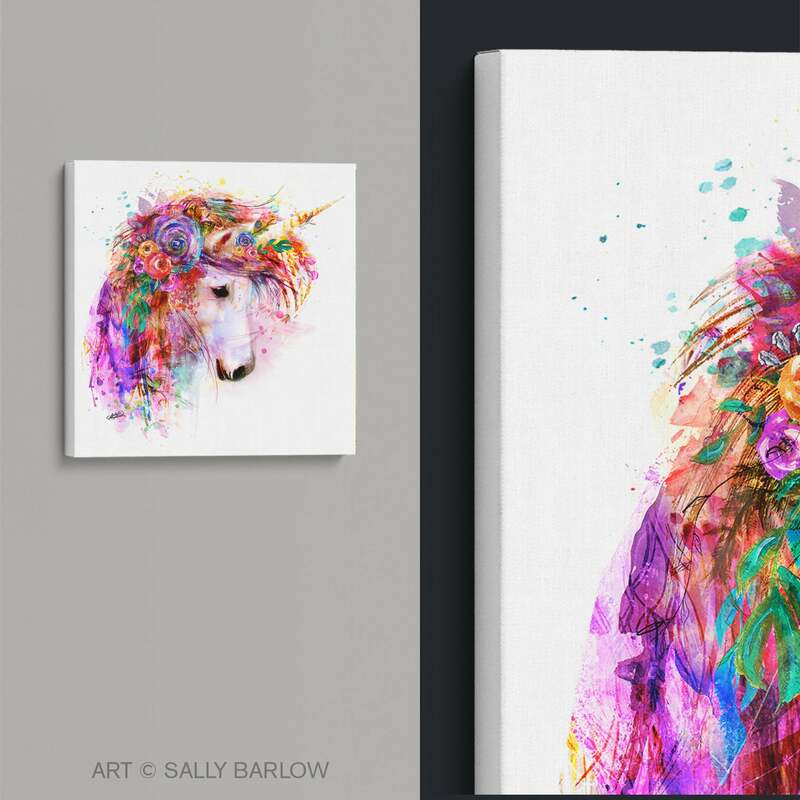 A Genuine Artist Canvas Print framed with a recycled material that makes them not only environmentally friendly, but solid, durable, and lightweight. 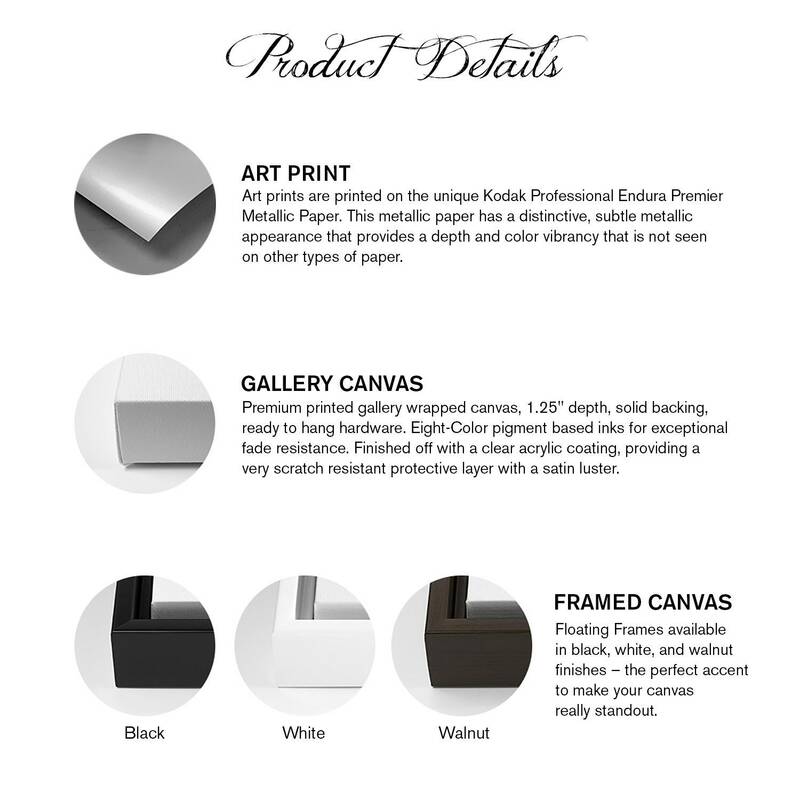 If choosing a framed canvas, please note what color of frame you want: Dark Walnut, Black, or White. The sizes listed are for the canvases themselves. 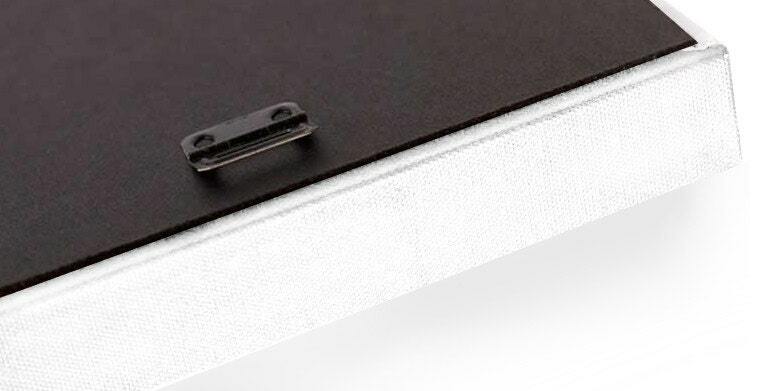 The frames add approximately 3/4" on all sides (3/8" for gap between the canvas and the frame, and 3/8" for the outward facing frame edge). For example, a 12"x12" canvas gallery wrap will be approximately 13 1/2" x 13 1/2" including the frame. The depth of our frames is 1 3/4" total. Its beautiful, bright colors and exactly as the picture, just wish there were another to combine it. But i love it! Absolutely beautiful! Looks so real. Thank you! The background was too yellow. We thought it would be white so that the colors would pop more. Other than that the actual illustration is nice. This Unicorn is beautiful! I would definitely purchase this again.